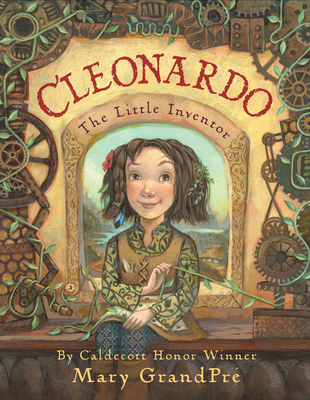 Cleonardo's father is an inventor. So was her grandfather, her great-grandfather, and all the great-greats before them. Cleo wants to be an inventor too. She tries to help her father in his workshop, but he never uses her great ideas. Can Cleo invent something big and important and perfect all by herself? This imaginative story of a father and his daughter brings the magic of creativity to little inventors everywhere. Mary GrandPre has illustrated more than twenty beautiful books, including The Noisy Paint Box by Barb Rosenstock, which received a Caldecott Honor; Plum, a collection of poetry by Tony Mitton; and the original American editions of all seven Harry Potter novels. Her work has also appeared in the New Yorker, the Atlantic Monthly, and the Wall Street Journal, and her paintings and pastels have been shown in galleries across the United States. Ms. GrandPre lives in Sarasota, Florida, with her family.